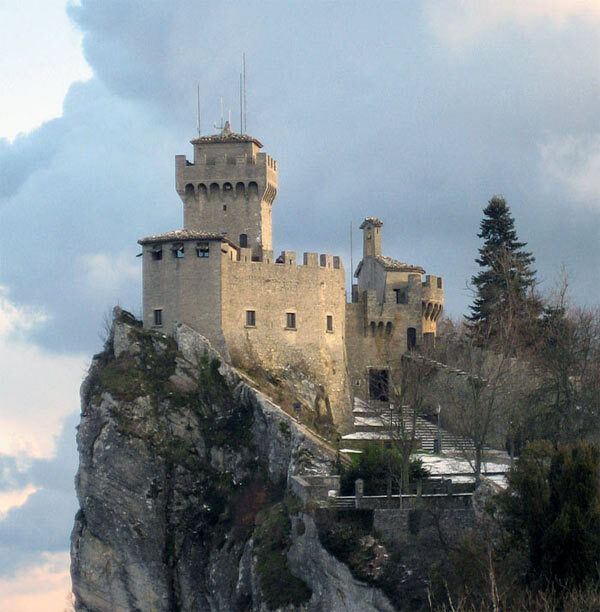 Cesta Tower (also known as La Fratta or second tower) is one of three medieval towers (fortresses) in San Marino. The tower is located on top of Mount Titano, at an altitude of 755 meters above sea level. It is believed that on this place was a watch tower during the Roman Empire. First tower is mentioned in documents relating to 1253. Since 1956, in the tower is located the Museum of ancient weapons contained in its exhibition about 700 samples of armor, weapons and firearms of different time. The museum opened to the public in the winter to 17 in summer to 20 hours. The tower is closed during Christmas, New Year and during the second half of the day on November 2.